As per the Legends, Sage Bhrugu cursed Brahma that he will not be worshipped during Kaliyuga. Hence, there are no temples for Lord Brahma on the Earth. 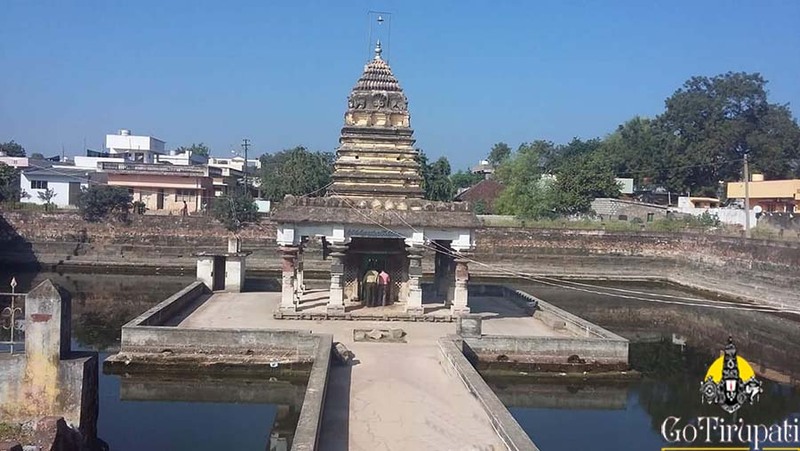 Temple at Chebrolu is surrounded by water on the sides with a pathway in the middle. Brahma was engraved on the four sides of the Linga. This Linga is called by Chatrurmukha Brahma Lingeswara. Sahasra Lingeswara, Veerabadhra, Nageswara, and Bhimeswara shrines are located nearby to this temple. Nandi statue which stands outside the temple was carved out of a single red stone. This temple was built by the King Raja Vasireddy Venkatadri Naidu and is of 200 years old. Chebrolu Brahma Temple is believed to be 1000 years old. Temple is located in Guntur district and is the only temple for Brahma in Andhra Pradesh. One Temple for Brahma is located in Kasi and another one at Chebrolu. Temples in Chebrolu is of 2000 years old and dates to Chola, Chalukya, Pallava, and Kakatiya dynasties. From the inscriptions, it is known that Bayanambini, Commander-In-Chief of Easter Chalukyas conquered Dharanikota (the present Amaravati) and Yanamadula forts and ruled this region with Chebrolu as the capital.